In case you haven’t noticed, traveling by airplane has gotten more and more expensive. But that doesn’t quell our wanderlust at all. After seeing tons of fabulous “Best Places to Travel in 2017” lists, we’re more excited to explore than ever. But the best news is that there are tons of great ways to travel cheaply. For example, discount airlines like WOW will take you to amazing locations for a bargain. But there’s a catch. Most airlines now charge for any bags you want to bring, which can seriously up your travel costs. However, they will often allow you to bring a small carry-on and purse. But if it sounds impossible to wander the world with so few belongings, we’re here to tell you that it can be done. To travel both cheaply and efficiently, you need to learn to be a packing minimalist. 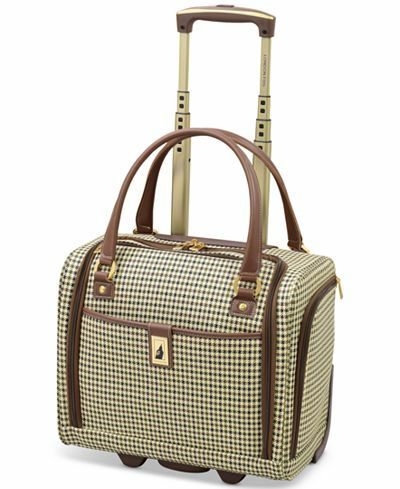 WOW Airlines allows only a bag measuring 17x13x10 inches to fly for free and a purse or backpack that fits under the seat. After that, you’ll pay money for your bag on each leg, carry-on or checked. EasyJet, one of the most popular airlines for traveling around Europe, allows only a slightly bigger bag 22x16x10 but no personal item (unless you upgrade). While this may seem impossibly small, if you can pack light enough, you’ll not only save big bucks, but you’ll be SO much happier hauling your stuff through a strange city. Follow these simple instructions to travel lighter and happier on your next incredible trip. 1Invest in a showstopping coat, because it will be the star of your Instas. Let’s get one thing clear right off the bat — you only need one coat on your trip. Depending on the weather, it can be a gorgeous peacoat, a fabulous bomber jacket, or a simple rain sheath. But know that you can only be one, and you’ll have to wear it slash carry it separately onto the plane. So check the weather on your trip ahead to plan for the weather you should expect. And make sure not to skimp on your choice, because more often than not, you’ll be wearing this coat during a lot of tourist activities. Which means, it will be the star of all your Instagrams. So splurge on a statement piece that makes you feel fabulous. 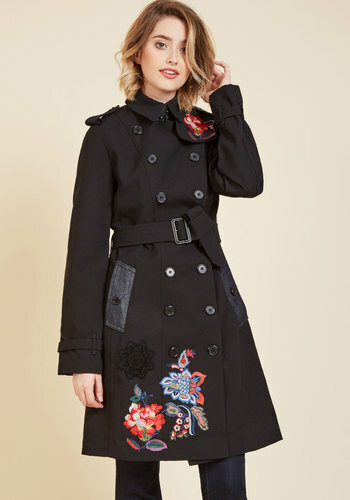 This fabulous embroidered trench from Modcloth will keep you looking chic and fabulous for a European exploration. You’ll want a bag that fits the size requirements, but still gives you all the function you need. You may prefer a small rolling bag or a large backpack. Just make sure to measure it or check dimensions, so you know it works with your airline’s requirements. We love this London Fog Mini 15″ Roller Bag at Macy’s, because it’s chic and practical. 3Plan a neutral wardrobe with one pop of color. Okay, this is the part you may have to sit down for. Your simple packing list should be: 2 bottoms (pants or shorts), 5 shirts, 6 underwear, 6 socks, 2 bras, 1 set pajamas/sleepwear, 1 sweater/pullover, 1 scarf, 1 hat, 2 shoes, and maybe 1 very foldable dress if you can manage. That’s how minimal your packing list should be. If you stay longer than 5 days, research how and where you can do laundry on your trip. Make sure you keep your color palette neutral, so everything can be mixed and matched. Then, add a pop of color. We suggest a white, black, and gray palette with a bright red scarf and coat. Or a tan and brown palette with some fabulous teal. Keeping your clothing simple will not only make it easy to build outfits, but it’ll help keep your packing light. Make sure you bring only shoes that you love walking in for miles, and leave your fabulous but painful shoes at home. 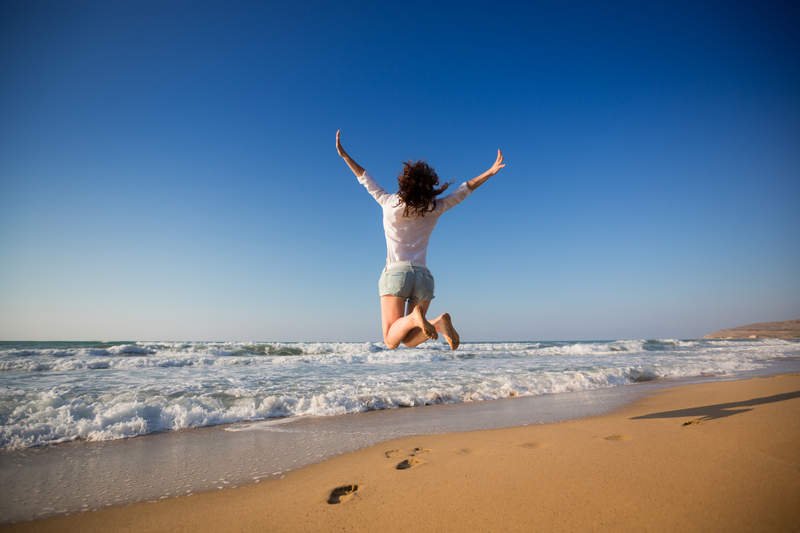 If you’re still hurting for a plan, check out these fabulous (and free!) packing guides from Travel Fashion Girl. We all love and constantly use multiple electronics per day, but for travel, try to pare that down. You don’t need a laptop, an iPad, a Kindle, a camera, and a phone. First of all, you don’t want to bring too many valuable items that could go missing. Second of all, most of those items can do double duty. We challenge you to bring only two items, three at the most, that require charging. 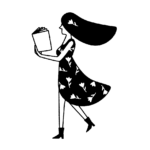 Maybe load your latest ebooks onto your iPad, so you can web surf and read? Or bring along a small wireless keyboard, so you can quickly write emails on a mobile device, so you can leave your laptop at home. Plus, you’re supposed to be exploring, so travel is the perfect time to disconnect a little. 5Get yourself a blowdry-free haircut. In your minimalist packing scheme, there won’t be much room for heat styling tools. 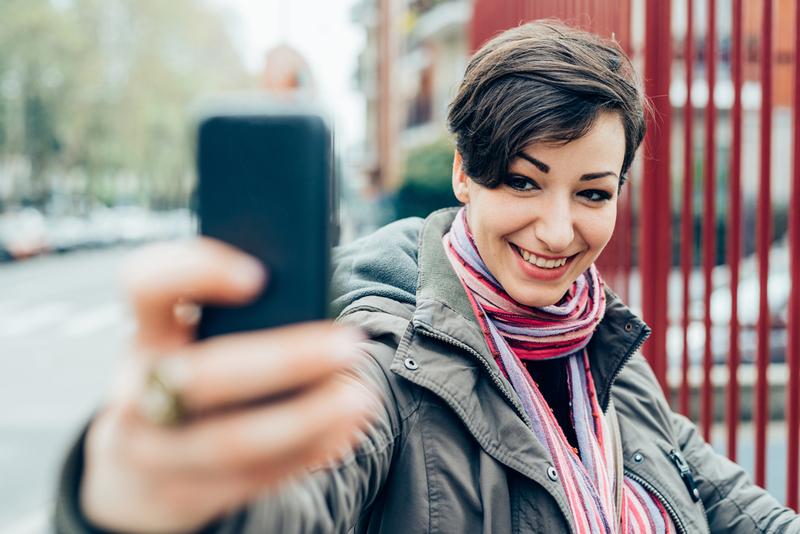 Talk to your stylist about your hair texture and style to see how you can get the easiest cut for low-maintenance travel. Consider a short pixie or a dimensional layered cut, so that your hair dries in fabulous style. And find the one hardworking product that will keep your style fabulous in all conditions. And of course, never underestimate the power of a great hat to make your un-coifed hair look Instagram fabulous. 6For makeup and beauty products, pick the ones that do double duty. You’ll want to keep your makeup routine simple and consistent, because you won’t have room for too many options. Try to find products that do double duty, like foundation with sunscreen, and blush that doubles as eyeshadow or lip tint. 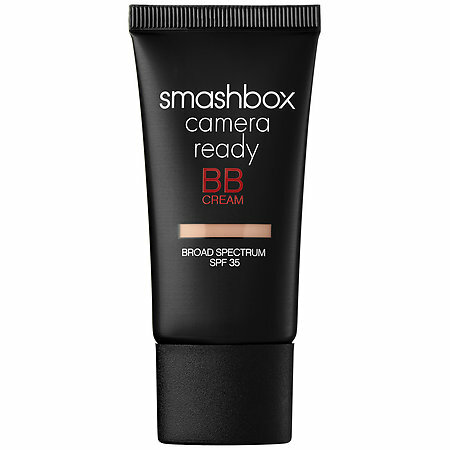 We love this Smashbox Tinted BB Cream, because it gives us just the right amount of coverage, plus SPF 35 to keep our skin safe. Add a stick of concealer, blush, mascara, a small eyeshadow blend, and lip tint, and our beauty essentials are ready to go! 7Organize your bag with packing cubes. Keep yourself organized (and honest) in your minimalist packing with these awesome packing cubes. 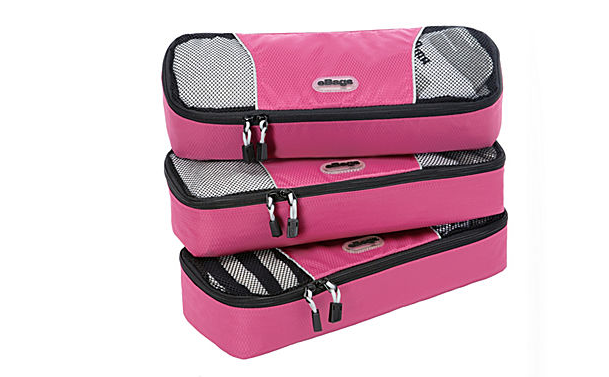 This set of three slim cubes will fit perfectly in your small luggage, and it can help you organize items like socks, underwear, and squishable items like leggings or sweaters. Plus, they come in fabulous colors. Check out this set of three on eBags. 8Bring only the cords you need, and keep them organized. Double check all your items to see if there are any cords you can double up on. For example, the Amazon Kindle charges on a USB 2 cord that many other electronics use. 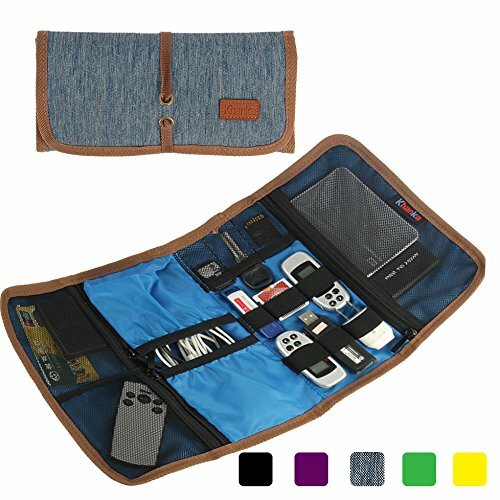 Pare down the cords, so you have one of each, then organize them in one place, like this Portable Organizer from Amazon does. Also, make sure to get a backup battery for your phone, because guaranteed you won’t want to lose power in the middle of your incredible boat tour. If by now you’re feeling panicked that we’re not allowing you nearly enough space for everything you need, don’t forget that technology is your friend. So many of the things we used to carry with us can now be found in app form. Need to learn the language? Download Google Translate or a language dictionary. If you’re not sure where to go and what to do in your new city? Lonely Planet (and others) makes eBook guides! Also, because our phones and data usage are so ubiquitous, check out your cell phone provider’s website to sign up for an international data package. For example, on AT&T, you can sign up to get a Passport Package that provides talk, text, and data for 30 days in over 200 countries. If you follow these simple guidelines, you’ll be well on your way to being a super-chic, minimalist traveler. With all the weight of extra stuff off your shoulders (literally), you can enjoy your travels more and save money. Now the only question is, where will you go first?